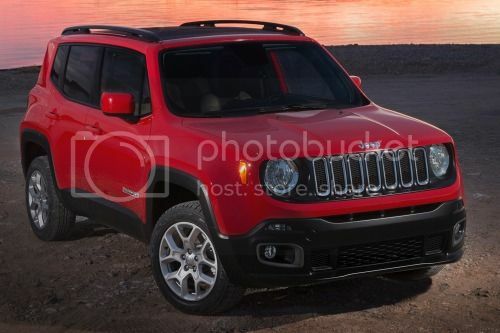 The Jeep® brand introduced the all-new 2015 Renegade for the North America market at the New York International Auto Show. The Renegade, which made its international debut last month at the Geneva International Motor Show, is an all-new, efficient, trail and urban-friendly size Jeep vehicle that is designed to take the growing, global small-SUV segment head-on with its beefy proportions and purposeful design elements. Amish Renegades will be available. Cherokee is a D-segment Jeep vehicle. First the Cherokee and now this? Wow, Jeep is really starting to become a sell-out brand. I guess it was to be expected, considering fuel economy standards and all....specially when they had so many gas guzzlers in their model line-up. 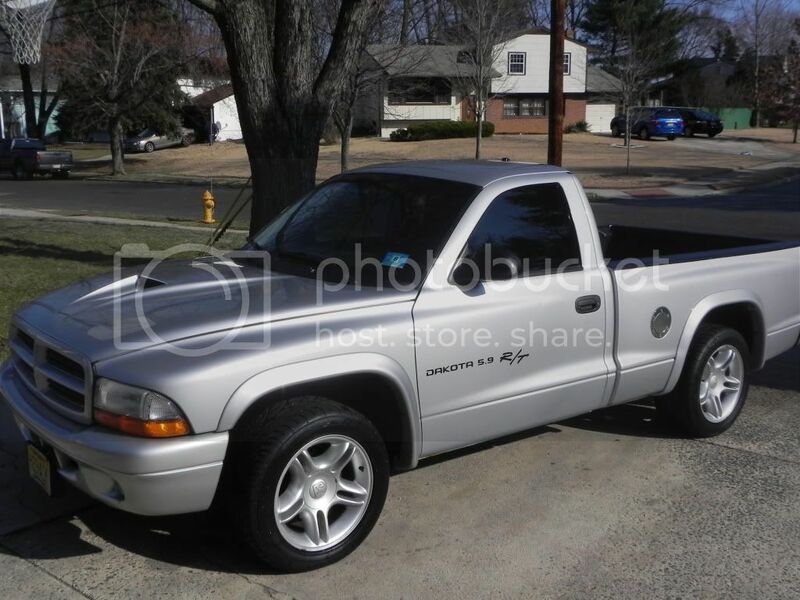 Shadow wrote: First the Cherokee and now this? Wow, Jeep is really starting to become a sell-out brand. I guess it was to be expected, considering fuel economy standards and all....specially when they had so many gas guzzlers in their model line-up. "The company said on Tuesday that it sold 15,940 Grand Cherokees in the U.S. last month, 26 percent more than a year earlier. Possibly more impressive, it sold almost as many Cherokee models, a stripped-down mini version of the Grand that first rolled out in October." Actually, the Cherokee is not a "Stripped-down mini version of the Grand" - totally different architecture and it can be had with all the birds and weasels, but the sales ARE doing very well. Imagine if a stick were offered in the North American market - they could claim mebbe 6 more sales per month? You're being much too harsh, Shadow. Granted, this thing won't be winning any beauty contests, but if it offers manual transmission paired with AWD, then it will have bragging rights over a Kia Soul or Nissan Juke at the local shopping mall. Hey, it's something! I don't know...I wouldn't call it an especially GOOD-looking vehicle, but the Renegade doesn't make me ask, "What were they thinking?" as the Cherokee, Juke, and Aztek do. Boston Fit wrote: You're being much too harsh, Shadow. Granted, this thing won't be winning any beauty contests, but if it offers manual transmission paired with AWD, then it will have bragging rights over a Kia Soul or Nissan Juke at the local shopping mall. Hey, it's something! On balance I very much agree with you. Not a looker, this car. At least it comes with a cheesy grille logo hidden in every nook and cranny! but the sales ARE doing very well. Apparently there are a lot of customers who like the looks of the Cherokee. 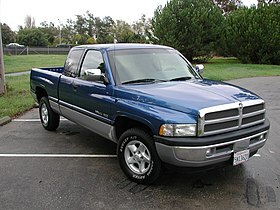 There were a lot of people saying the 1994 Ram pick-m-up was ugly, but again sales showed that there were plenty of people who did like their looks. Ugly is in the eye of the beer holder. Rope-Pusher wrote: Apparently there are a lot of customers who like the looks of the Cherokee. Or maybe there are a lot of customers who really don't care very much about the styling of their car. Toyota sells/leases lots of Prii (I've always preferred "Priuses", but Toyota said "no" LOL) and those aren't exactly beautiful vehicles either. Ugly cars sell as long as there's something about them that sets them apart. In the case of the Cherokee, I think the big selling point is the 4wd system and the ability that goes along with that. In the world of softroader CUVs, the Cherokee seems to stand out for that reason. The original design proposal for the Ram was bland, like a big version of the original Dakota. They decided it wasn't going to offend anyone, but it also wasn't going to be a strong attraction to anyone. That's when they decided to go for something that people would either like or dislike. That was that big-rig look. I see the Cherokee styling as being attractive to some, but not to everyone. It doesn't hurt that it's been judged to have one of the 10 best interiors by WardsAuto. I'm not a Jeep fanboi, but I'm a Jeep fan. That really isn't a Jeep any more, Yeah, yeah, I know they said that when the square lights YJ came out and then later when the TJ went to coil suspension, but at it's core, the Jeep retained it's purpose back in those days. Granted, I understand why they did it with this model. I like that gen Ram, too. Rope-Pusher wrote: The original design proposal for the Ram was bland, like a big version of the original Dakota. They decided it wasn't going to offend anyone, but it also wasn't going to be a strong attraction to anyone. That's when they decided to go for something that people would either like or dislike. That was that big-rig look.